Top: H&M / Skirt: H&M / Shoes: Christian Louboutin Happy early New Years everyone! It's crazy to think it's right around the corner, which makes now the perfect time to start planning how you’re going to ring in 2016. I thought it was best to post this soon in case you were still shopping for a dress. What are your plans this new years? I'll be with the ones I love most and I'll definitely have this on. I went all matchy-matchy on my top and skirt cause you can never have too much sequins! What's even better, this skirt has an elastic band, perfect for overeating and drinking! ; I've rounded up a few dresses all under $100 because I don't believe you have to spend a fortune on something you might only wear just once. What a fun photo shoot! Sequins are perfect for NYE. So pretty!! I love all things sparkly!! The top and skirt are fabulous! These photos are so fun! I am so excited for dressing up on NYE! I need to get my hands on a dress like this! It's super comfy and so fun to wear! Plus, both the top and skirt are under $100 total at H&M! Such a fun NYE look! I'm loving the double sequins! Such a fun holiday sparkly look! 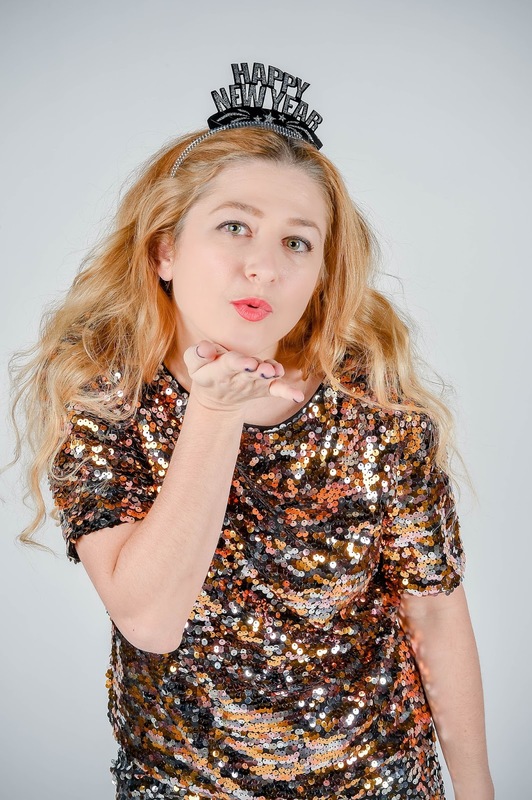 You've been killing it with the sequin looks! Definitely a great way to bring in the new year. Love this! Thanks for linking up to Top of the World Style. I will have a Xmas linkup party on Thursday. I hope you can make it. Love the dress and shoes! Yes girl! 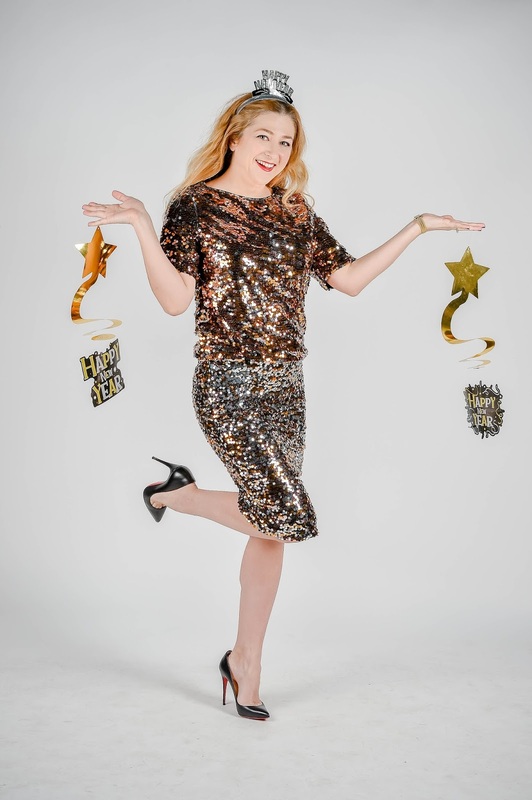 Sequins all the way for NYE! Your holiday outfits have been on point! Oh this is just too perfect! There's NO such thing as too much sparkle. 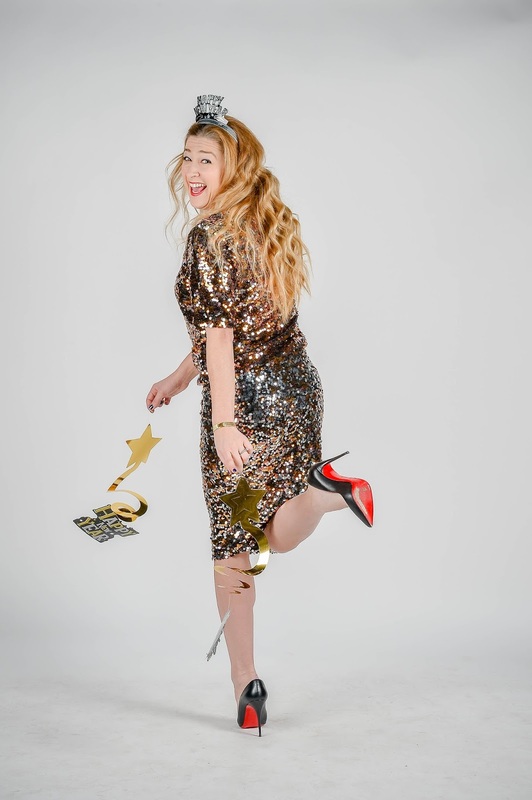 What a fun festive look to ring in the new year! Thank you for being a part of TBT Fashion link up and hope you had a wonderful Christmas. See you in 2016! The post that brought me to your blog :). Gorgeous outfit, fun shoot. Love it.